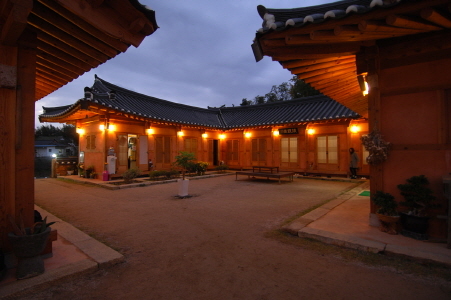 Surime is surrounded by Gyeongju Namsan Mountain, a designated UNESCO World Cultural Heritage Site. 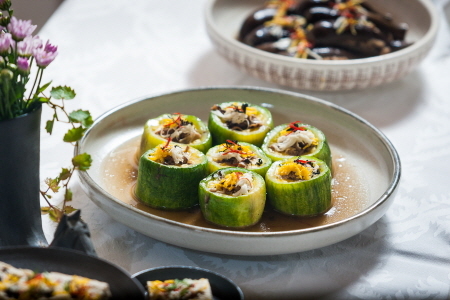 Surime serves royal cuisine from the Joseon Dynasty, prepared by royal cuisine expert Park Misuk. All dishes are prepared with fresh ingredients grown in the Surime garden for a pure, natural taste. 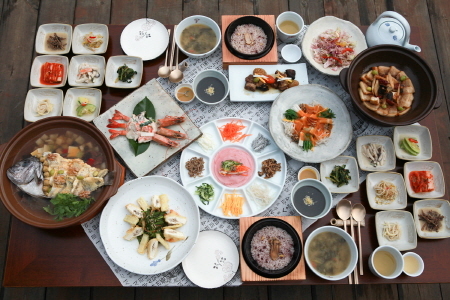 In addition to being a restaurant, guests can also participate in various food programs. Take a train from Seoul Station to Gyeongju Station or Singyeongju Station. Take a bus from Gangnam Express Bus Terminal to Gyeongju Bus Terminal. From Gyeongju Bus Terminal, walk to Intercity Bus Terminal Bus Stop. From Gyeongju Station, walk to Front of Gyeongju Post Office Bus Stop. Take Bus 500 and get off at Ijo 3-ri / Yongsan Bus Stop. Surime is up the hill to the left. Approx. 15min from Gyeongju Station, Gyeongju Express Bus Terminal or Gyeongju Intercity Bus Terminal.